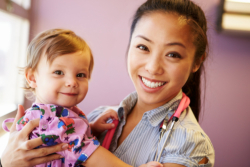 Caring for children is one of our specialties at Assured Health Home Care, Inc. We have professionals on staff who are experienced, trained and compassionate about caring for medically-fragile children. Upon request, we can conduct an assessment of your child’s health in order to determine the level of care that he or she requires at home. Please tell us how we can help you in caring for your child. Our home care staff is standing by. We hope to be of assistance to you soon. Call us at 703-221-4854.